The sacred landscape known to us as Saqqara has undergone many facelifts over the millennia. Epochs have arrived with a flourish only to fade with a whimper. 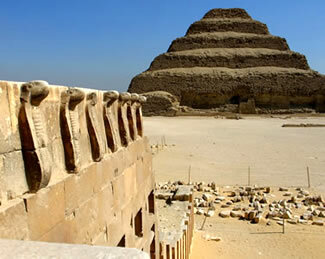 The stupendous Step Pyramid has witnessed them all, including most of mankind’s recorded history. Countless thousands have stood aghast, in admiration of the genius of its architect Imhotep, as we do today. But, the question I pose is, did he build over the existing tombs of the preceding second dynasty hierarchy, possibly Kings. It is possible Netjerikhet the founder of the third dynasty gave orders to build, his stairway to the gods over the already dilapidated and plundered tombs of his ancestors. Some of the chambers beneath the pyramid and the magazines to the west are in all likelihood older than Netjerikhets last resting place. Is it possible, Imhotep’s ambition and foresight incorporated into his grand scheme, previously existing subterranean chambers. What is certain, Imhotep rewrote the already ancient building practices by trial and error he succeeded, incorporating materials that would last, in there own words “for millions of years”. His bold vision propelling the archaic pragmatism into a new and exciting age. My time spent inside the Step pyramid, left me with profound respect for its builders. I remember thinking, if spirits exist which I am now certain they do, they exist within this sacred structure. No other pyramid or tomb has affected me so. When you enter, you become immediately aware of a force, a kind of electricity, a power so immense it engulfs the mind. A place unlike any on earth, unique, of course it is the oldest substantial stone building that has come down to us. As such it deserves our reverence, in the center of the pyramid the burial shaft sinks 90 feet below, and here you can see the blocked entrance as it was left c4750 years ago. Possibly the last person to pass through was Imhotep brushing away the footprints as he exited the burial for the last time. The torches flickering, as he proposed the last rites, before darkness fell forever. The light plays tricks with the senses, I swore I could see the faces of ancient Egyptians in the walls, I noticed how cold it had become, it was time to leave. On reaching the outside again I felt I wanted to go back and spend more time, but alas time had beaten me. The reported mummified remains, of Netjerikhet ( Djoser ) as many will have seen on television, were in fact parts of a number of individuals and turned out, after investigation to be dated to the Saite period. Over 2000 years later than the King. They probably fell down the shaft after J.S. Perring’s visit in 1837. He states he discovered over 30 late period mummies, blocking the southern entrance to the pyramid, which disintegrated on touch. The mystery surrounding the Step pyramid deepens, when a small box, is discovered in the Department of Anatomy, Qasr el Aini Medical faculty, Cairo University. The box labeled “Skull of a young woman, a princess of the third dynasty” from Djoser’s pyramid. The box also contains an iliac bone and a humerus. The exciting discovery is scientifically investigated by Prof Strouhal, who indicates in his report; the bones were from a 16/17 years old female. Confirmed by the gracile sexual features, the total skeletization of the remains indicate a date within the first three dynasties. When, the remains of the young female are calibrated, the report issues sensational news. 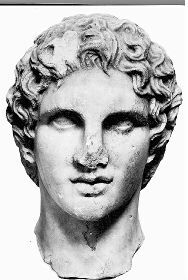 The female in question dates to between c3532bc/2878bc, over three hundred years before the supposed date of the 3rd dynasty c2750bc/2600bc. The mystery deepens, have we the bones of a princess of the 2nd dynasty from beneath the Step pyramid or do we need to rethink our accepted chronology, of the early dynasties. Only time and science will tell. One factor may favour the 2nd dynasty; in the subterranean chambers beneath the pyramid Netjerikhet stored over 40000 vessels many predating the 3rd dynasty. Were these vessels reinterments after the desecration by others of his ancestor’s tombs? , was the area around the Step pyramid enclosure a 2nd dynasty burial ground. 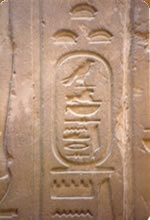 We know Unas built his pyramid over a 2nd dynasty burial, Hotepsekhemwy. And at least one other 2nd dynasty tomb lies under Unas causeway. The area to the east of the Userkaf pyramid complex has never been excavated; I think that would be my favourite area to investigate given the opportunity. The nature of the sacred landscape at Saqqara, changes through the hours of the day. In the early morning, when cool mists rise from the desert floor you can sense you are in a different time. The silence allows the subconscious mind, be it fleetingly, to recreate ancient days. As the sun rises, and the day progresses the hoards arrive, the site looses much of its identity, to return with new vigour as the sun disappears in the west the land of the dead. When spirits reappear to claim their inheritance. The visitor to Saqqara will be rewarded by seeking out a vantage point away from the throngs of tourists, sitting in quiet contemplation. As the sun tracks across the clear blue sky, as it has since the beginning of time, try with deep thought and concentration to push back time, to a time when our ancestors walked the sacred necropolis. Return to an age of tranquility, when the only sound you would hear was the gentle breeze skipping over the desert floor, carrying an unintelligible voice in the distance. Close your eyes, take a few deep breaths, let your mind run free. In deep meditation Saqqara will share her secrets. The tombs will breath fresh life again, the hieroglyphs will speak, remember to utter the name of a tomb owner will bring their spirit rushing back through the ages. Luminaries will share their wisdom, Kagemni, Mereruka , Ptahhotep, Ti their spirits live on, and they can be reached, if only time is taken.